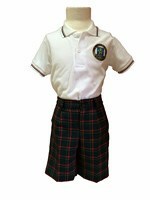 Uniform - We are The British College. Our students make the future. We are The British College. Our students make the future. 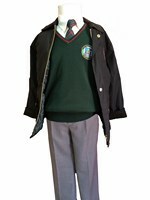 Boys: Checked trousers up yo year 1, grey trousers from year 2 upwards, beige longsleeved shirt / polo shirt in hot weather, green Vneck jumper, winter coat (all with the school badge), tie, green socks and black shoes. 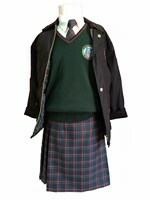 Girls: Checked skirt with straps up to year 1, beige longsleeved shirt / polo shirt in hot weather, green Vneck jumper, winter coat (all with the school badge), tie, green socks/tights, flat black shoes. 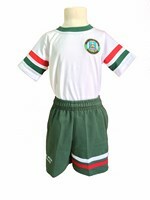 PE kit: White T-shirt with red and green details, green shorts / tracksuit (all with the school badge), green socks and white trainers. 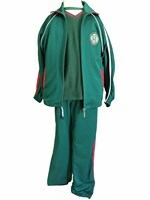 All items can be purchased at school. 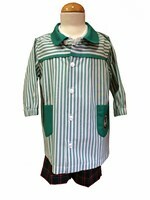 Registration available for Kindergarten, Nursery and Reception. Please use our Contact Form or Registration Form.